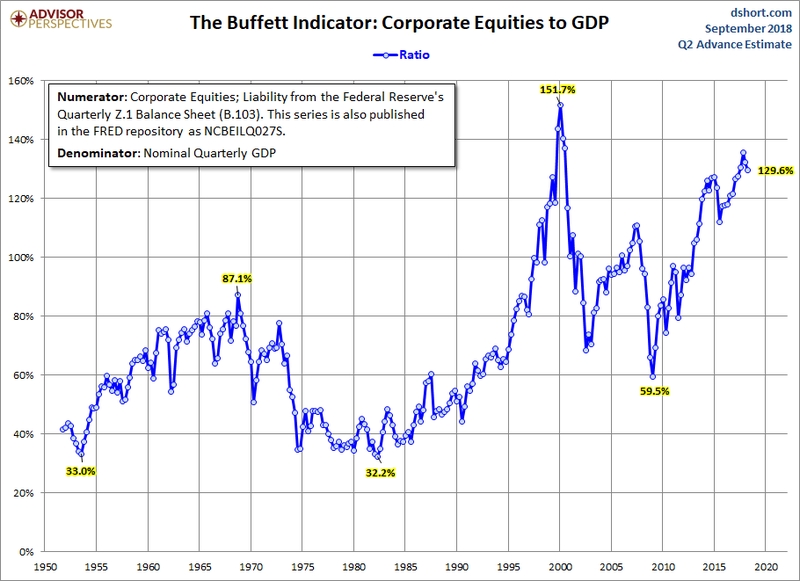 1.Longest Equity Bull Ever Without 20% Correction. 2.Large Cap Value Lags Big….U.S. YTD Return Rankings. 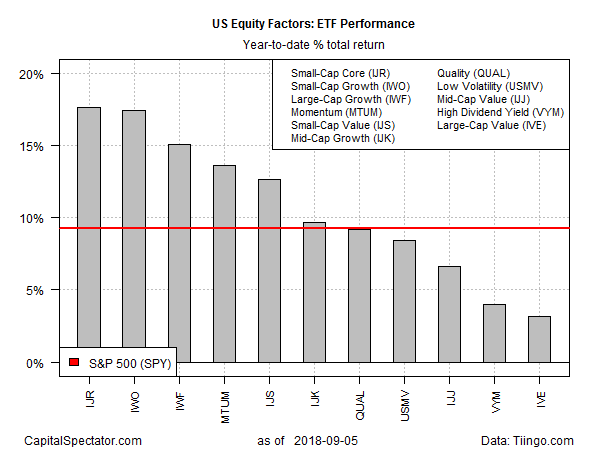 Wallowing in last place: large-cap value stocks: iShares S&P 500 Value (IVE) is posting a relatively weak 3.2% total return in 2018 through yesterday’s close. For context, note that the broad US equity market – SPDR S&P 500 (SPY) – is up 9.2% this year. 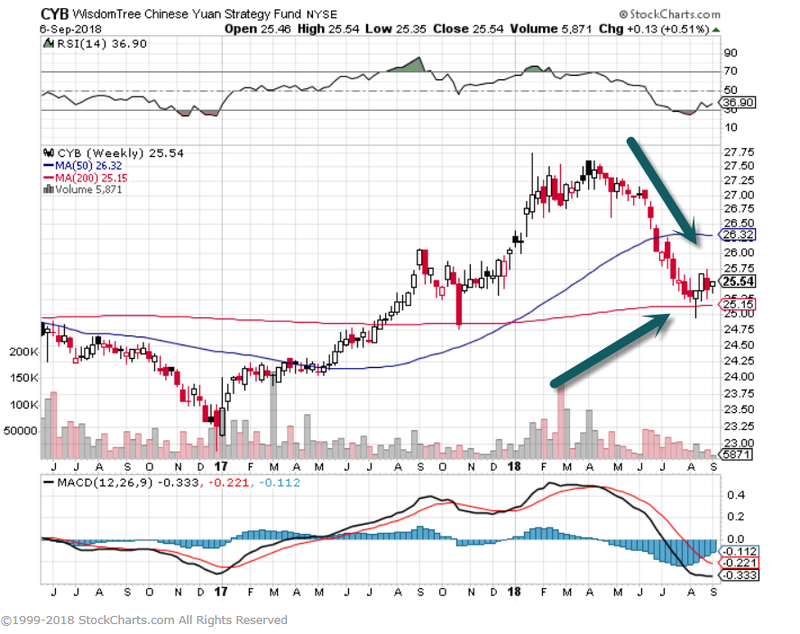 3.We have Pointed Out the Volatility of Emerging Markets in Multiple Past Top 10’s….Investors Bailing Out Over Volatility Again…$4B in Redemptions. 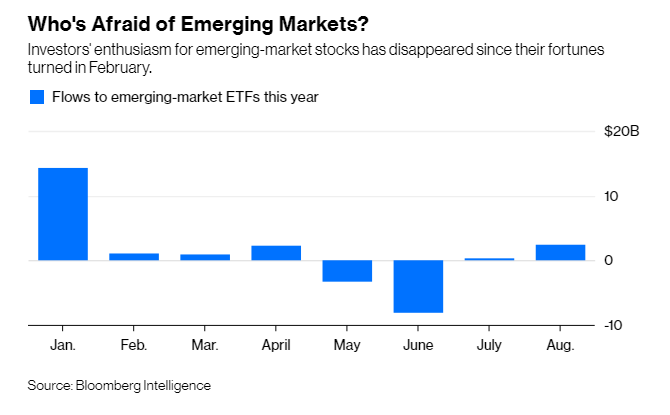 Investors’ enthusiasm for emerging-market stocks has disappeared since their fortunes turned in February. And th ey’re at it again. Investors pulled a net $4 billion from emerging-market exchange-traded funds from February to August, according to Bloomberg Intelligence. That follows inflows of $25 billion in 2016 and $54 billion in 2017, both years in which emerging-market stocks posted strong returns. Volatility is nothing new and not out of the ordinary now. 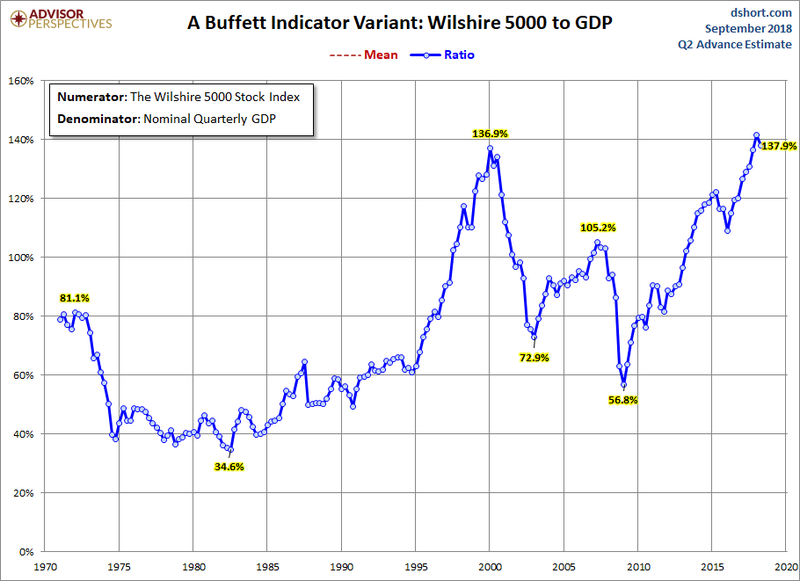 4.Buffet Indicator Update…Twist Using Wilshire 5000. The denominator in the charts below now includes the Second Estimate of Q2 GDP, the latest Z.1 data, and the August close data. The latest numerator value, when the latest data is not yet available, is extrapolated based on the quarterly change in the Wilshire 5000. The current reading is 129.6%, down from 132.7% the previous quarter. Here is a more transparent alternate snapshot over a shorter timeframe using the Wilshire 5000 Full Cap Price Index divided by GDP. We’ve used the St. Louis Federal Reserve’s FRED repository as the source for the stock index numerator (WILL5000PRFC). The Wilshire Index is a more intuitive broad metric of the market than the Fed’s rather esoteric “Nonfinancial corporate business; corporate equities; liability, Level”. A quick technical note: To match the quarterly intervals of GDP, for the Wilshire data we’ve used the quarterly average of daily closes rather than quarterly closes (slightly smoothing the volatility) when the latest data is not yet available. 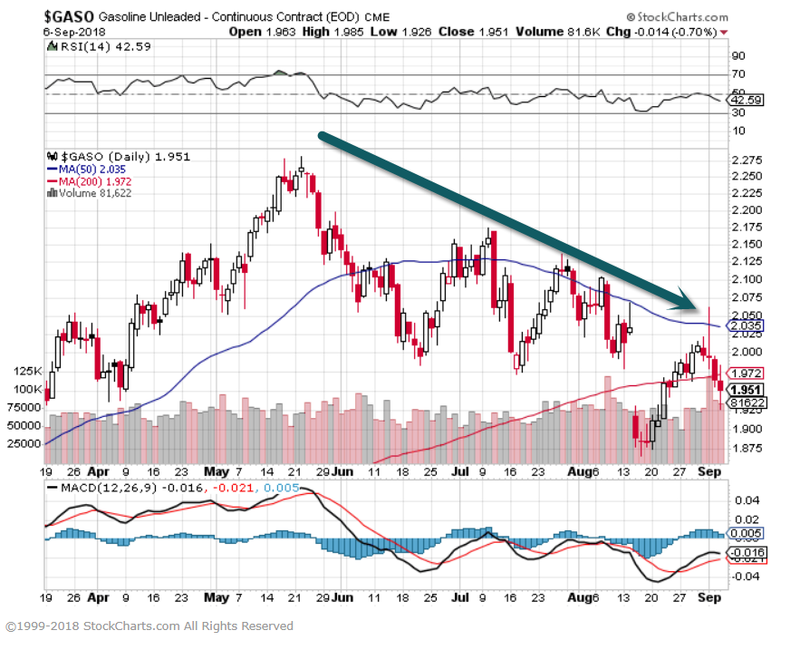 5.Unleaded Gas Down 13% From Highs. The world’s biggest crude exporter is striking a balance between maximizing revenue and keeping a lid on prices until U.S. congressional elections, OPEC and industry sources said. Saudi Arabiawants oil to stay between $70 and $80 a barrel for now as the world’s biggest crude exporter strikes a balance between maximizing revenue and keeping a lid on prices until S.congressional elections, OPEC and industry sources said. That changed in April when U.S. President Donald Trumpput public pressure on Riyadh to keep crude prices in check, wanting to stop U.S. fuel costs rising ahead of the U.S. midterm elections in November. We also cut categories along the lines of cost. Cost matters. 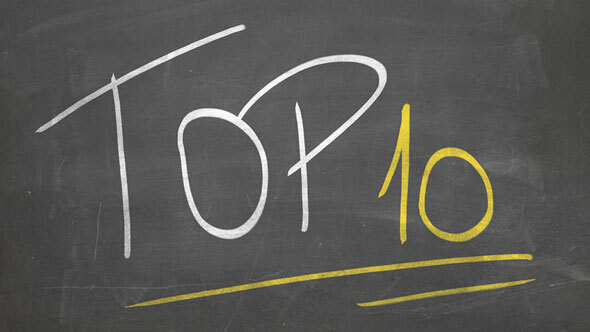 Fees are the one of the best predictors of future fund performance. We have sliced our universe into fee quartiles to highlight this relationship. Higher cost funds were more likely to underperform or be shuttered or merged away, and lower-cost funds were likelier to survive and enjoyed greater odds of success. This is marked by the shading in the far right-hand columns of the accompanying exhibits. 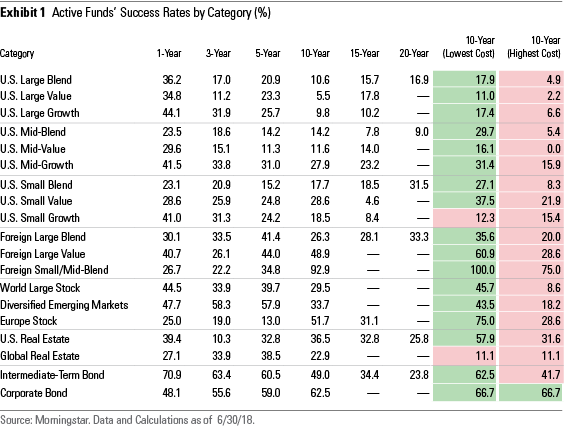 The second column from the far right contains the 10-year success rates for the lowest-cost quartile of active funds across the categories we examined. The green shading represents instances where funds in a given cohort had above-average (though maybe not great) odds of succeeding. The red shading represents cases where funds’ success rates were worse than average. The picture these figures paint is clear: Fees matter. They are one of the only reliable predictors of success. The Bureau of Economic Analysis found that the trade deficit grew from $504.8 billion in 2016 to $568.4 billion in 2017. This is a direct result of the U.S. importing more than it exports. In order to reverse that growth, the President’s plan includes another $200 billion in tariffs on Chinese imports in the near future. On the other side, China has placed tariffs on $16 billion of American goods. Many American exports going into China, including cars, motorcycles, coal, grease and plastic products are now assessed a 25% charge right off the bat. 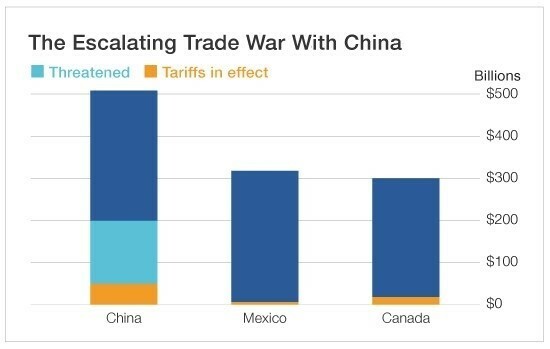 Though we aren’t hearing about it much in the States, the Chinese are feeling the heat from the new tariffs already. After the latest round of U.S. tariffs were levied, Chinese Finance Minister Liu Kun acknowledged they’re already affecting Chinese jobs and causing noticeable problems for the economy as a whole. It seems fitting that this Labor Day weekend we are talking about American businesses and the American worker, both pillars of our society. The scales of world trade have been out of balance for a while, and our government is within its rights to pull what levers it can to protect U.S. workers and businesses – and coerce the red dragon to comply. A further escalation of the U.S. and China trade spat that could affect $400 billion in goods could tip China’s current account into deficitand push the yuan weaker by about 15%, Brainard says. 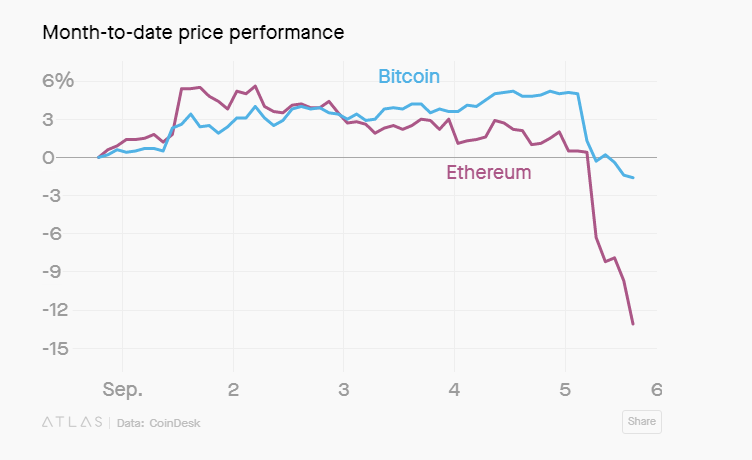 That could ripple through other emerging markets as other countries are forced to lower their currencies to compete and eventually hit the global economy in a way emerging market troubles have not yet managed to do. 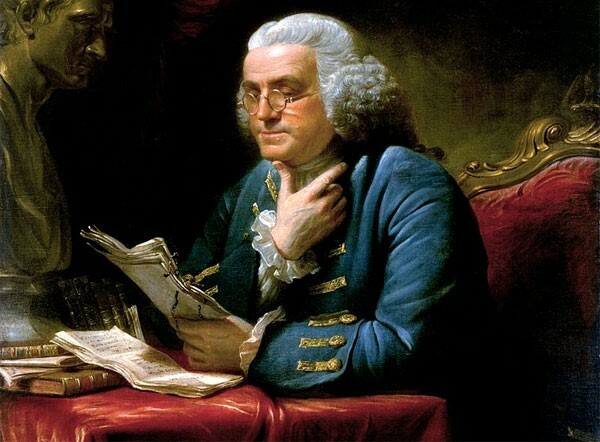 10.3 Years Waking Up Early Like Benjamin Franklin! 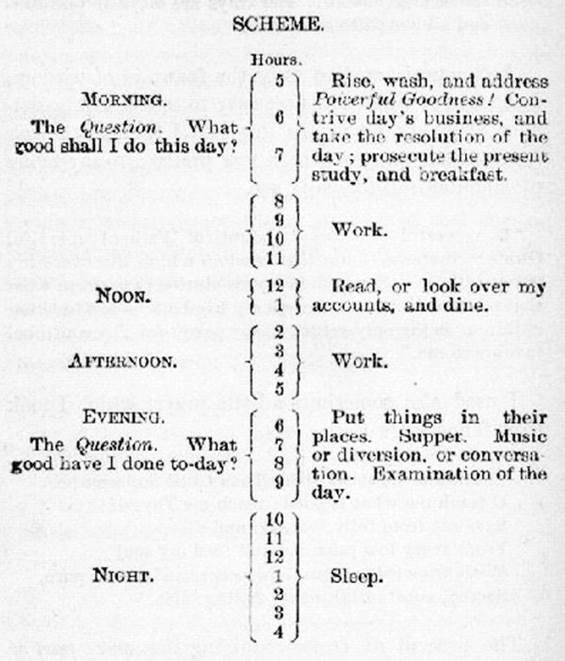 You might find youdon’t work as well in the mornings than evenings!